We’re talking day jobs this week on the Deb Ball. Oh, the joy of the day jobs. I’ve had day jobs I have loved. Loved, loved. And I’ve had day jobs that I’ve hated. Like poke-my-eyeballs-out hated (which would be a much better image had I not smacked into a branch last week while running and given myself a corneal abrasion. That I suppose is a story for another day: “Why Exercising Is Completely Stupid and If I Didn’t Need Running As an Excuse to Get a Break from My Family, I’d Never Do It.” But then again, I guess that is the whole story, so look, you got that today as a bonus). Lesson learned: Name your characters wisely. There is power in names. One of the benefits of the NYU film school is access to really awesome internships. I had an internship my junior year with an amazing film editor, who was a professor in the program, Paul Barnes. I was a little in awe of him–his work was amazing–and though he was editing a project with some director I had never heard of on an public television show that sounded, well, a little boring, I really wanted to learn from Paul. (What was this lame PBS series? Oh, just this little documentary, The Civil War, by this guy Ken Burns. Hmmm, wonder why I’m not in film today?) Every week I went in, prepared to learn from his brilliance. I think I saw him twice. For a few minutes. The rest of the time I stood in a bin in the hall outside the editing room, sorting teeny tiny pieces of film, pieces an inch or two long that might possibly be needed again. Each piece had a number so you could keep track of it. And sure enough, every now and then, the assistant would come running out and say, “Do you have piece number 2387?” And I’d search through the books and find it. And that one second clip would provide just the segue or the image or whatever was needed to finish the scene. Film was never thrown out because you simply didn’t know when you’d need a frame (or an entire scene) again. Yep, you read that correctly: kiwi farmer. 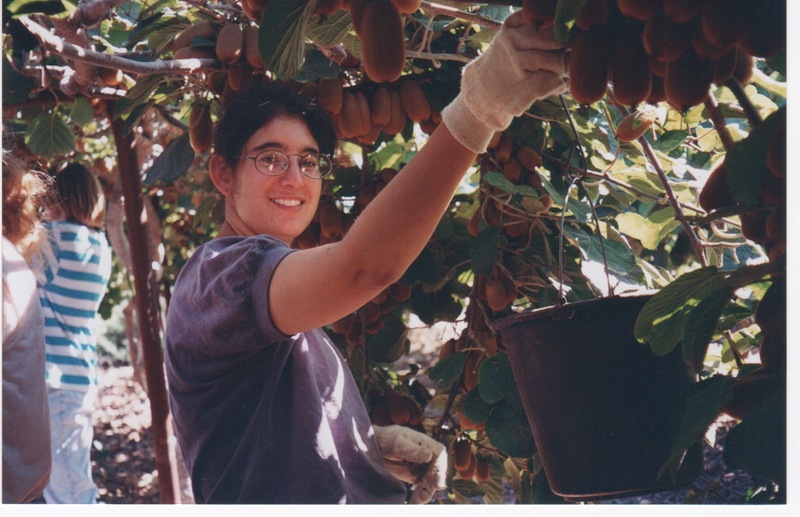 For about six months after grad school, I lived on a kibbutz in Israel and toiled in the kiwi fields. 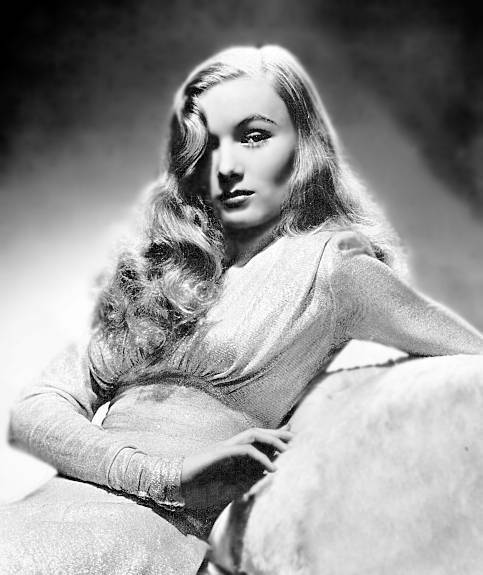 Oh, I had other jobs there as well—spent time doing kitchen work, a little time in the banana fields, a few days in the factory—but I had a thing for the kiwis. Unfortunately, the kiwis didn’t always have a thing for me. I had to wake up in the dark and be in the fields before dawn. The clippers gave me huge blisters. We worked rain or shine. My legs became a ladder of scratches. My back ached. My legs ached. My arms ached. After a dalliance with a kibbutznik, even my heart ached. For six months, I worked on the kibbutz and then for another two months, I traveled. And in the years since, some of my most successful publications have been about those experiences, both as creative nonfiction and as a basis for short stories. Lesson learned: What doesn’t kill you makes a great story. How about you? What have you used from your day job in your writing? The kiwi farming really caught me off guard, but it’s awesome! And clearly offers great material. I, on the other hand, was totally a kid person. I went from babysitter to camp counselor to daycare assistant to afterschool programs to teen mental health program coordinator. Which is pretty much how I ended up teaching college. As I got older, the kids I was working with got older preschoolers…elementary kids…middle schoolers…teens…until now they’re young adults. Soon, I may have to work with some grad students just because I do seem to keep getting older. Ha! If I hadn’t had kids, I think there is a chance I could have turned into Mr. Wilson (Dennis the Menace’s neighbor). You know, the curmudgeonly old neighbor who yells a lot but has a soft spot deep down for the kids.